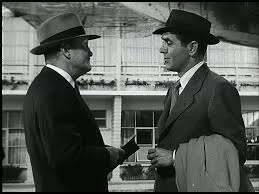 Old times - well "only" six or so years ago, there were some interesting posts kicked off by a mention of Tyrone Power who appeared in a film about Trieste called "Diplomatic Courier". I don't intend to go over them all but, if you have a few minutes, type any of the keywords into the search box, just above, you'll see what I mean. It's possible to click on "See entire thread" to do just that. Sadly not all the people are still with us but that, in itself, is salutary.